What kind of commercial business do you operate? A small office? A factory or retail unit? Or a massive industrial manufacturing site? 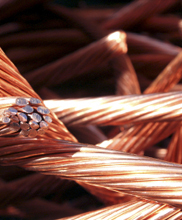 Whatever the scale of your operation, you almost certainly generate metal waste or scrap – and are responsible for safely and legally disposing of it. If so, we can help, by taking away the problem and recycling your commercial waste while you get on with running your business. Are any of the above cluttering up your office, yard or workshop? If so, we’ll take the problem away, recycle your scrap and put money back in your pocket. 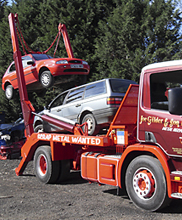 From a few old filing cabinets to a redundant assembly line or rusting fork-lift truck that hasn’t run for years, we clear scrap metal from all sizes of commercial premises and take it away for recycling. 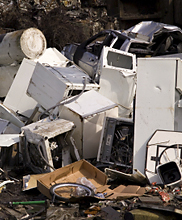 Which disposal services will help you? 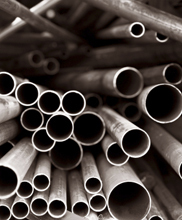 Bring metal waste to our Cotswolds depot. Call us in for a one-off clearance. Hire us for your regular commercial-recycling collections. Book our convenient skip services – capacities of 8–40 cubic yards (6.1–30.6 cubic metres) are available. Whatever suits your business best, imagine the peace of mind you’ll enjoy from trusting your commercial waste collection and disposal to an established, fully-licensed, waste-management professional. We’re based in Gloucestershire, which is perfect for supporting you wherever you are in South West England (or by negotiation, further afield in the UK). We’re sure you’ll like our competitive prices too – you don’t become an established waste services provider without quoting fairly and generously. 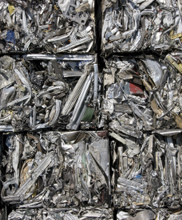 Waste recycling makes sense for every size of commercial organisation. For your commercial recycling quote, advice on hazardous waste disposal, or to arrange a collection, please call 01451 820 230 or email us.